Rep. McCarthy Vahey was presented with a 2015 Legislative Public Policy Champion award for getting legislation passed that creates a monetary fine when snow is dumped in accessible parking places. 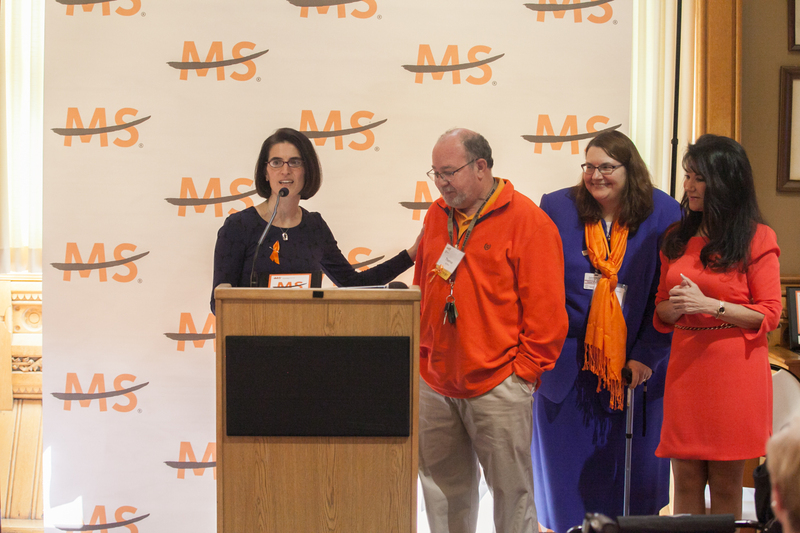 The National MS Society advocates at the federal, state and local levels for increased MS research, access to quality health care, disability rights, long-term services and supports, and access to basic needs like year-round energy assistance, transportation and accessible housing. Fairfield resident Thomas Griffen was instrumental in achieving these important changes. Working with Representative McCarthy Vahey, Griffen helped to advocate for the legislation, later joining McCarthy Vahey for meetings with Fairfield Police and other state-wide advocates and elected officials.